What Is the Shopping Cart Trick? 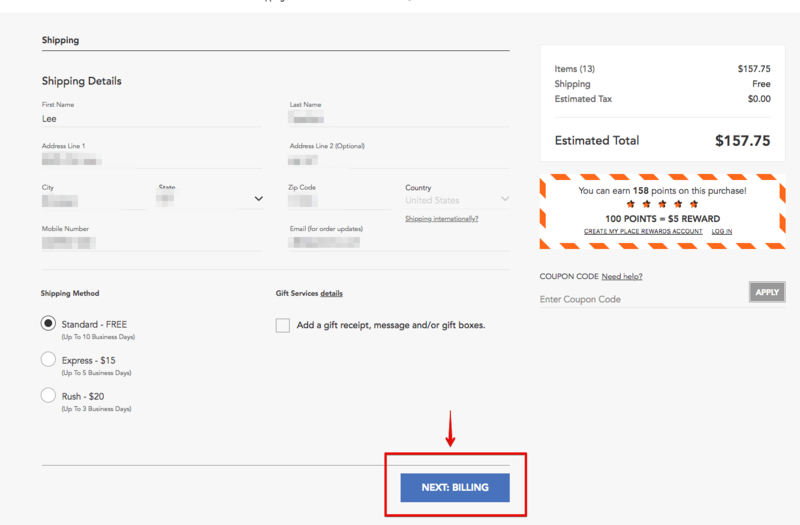 The shopping cart trick is a method to get a retailer’s website to give you a pre-approved credit card offer during the checkout process. Not every retailer’s website offers this backdoor way of obtaining a new credit card, but there are plenty that do. Best of all, these aren’t random stores that you would never shop at. Many of these stores are places that you probably shop at anyway. So you’ll also get the added bonus of coupons, discounts and promotional offers to save even more money. Who Should Use the Shopping Cart Trick? In short, these are store credit cards for bad credit. If you have a great credit score, you should consider applying for one of the best travel rewards credit cards. What Is a Soft Credit Pull? A soft credit pull is when a company looks at your credit report but does not perform a complete inquiry. The information provided is limited but is enough for them to make a decision. A hard credit pull allows for a detailed analysis of your credit report. When a hard credit pull is performed, your credit score will usually decrease 3 to 5 points. The hard inquiry will stay on your credit report for up to two years. But the effect on your credit score will usually go away after 6 to 12 months. Soft credit pulls are often done by your existing credit cards and loans to verify that you aren’t maxing out your credit or missing any payments. With a soft pull, there will be one less credit inquiry on your credit report. When a new account is added, the new credit limit will boost your overall buying power and lower your credit utilization. Credit utilization is the ratio comparing how much you’ve borrowed against your overall credit limits. Your credit score will increase as your credit utilization goes down. If you’ve had some hiccups in the past or don’t have much of a credit history, adding a new credit card with a positive history will improve your score over time. Just make sure that you pay your bill on time every month. I set up an automatic payment of the minimum due each month to make sure I don’t incur late fees or get charged for missing a payment. Are There Any Other Benefits to the Shopping Cart Trick? 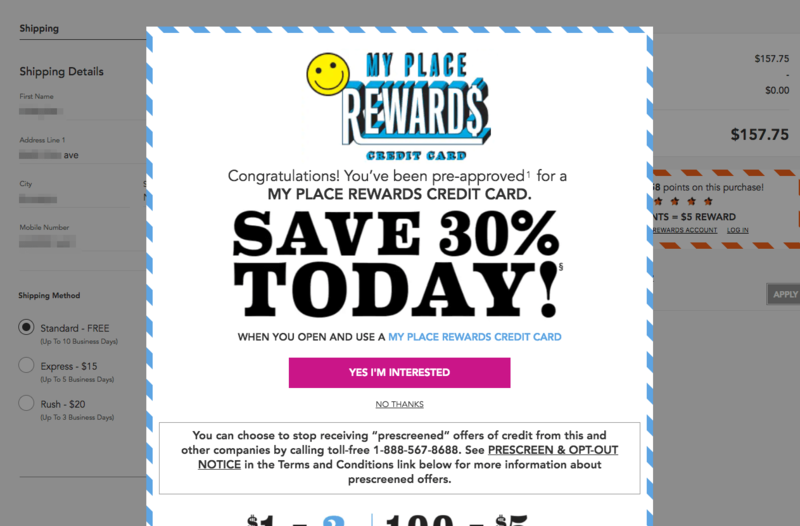 Not only will you be improving your credit, the shopping cart trick will also get you on the list to receive exclusive coupons, promotions and advance notice of sales. These are standard perks that come with a store credit card. Depending on the store, these offers could be extremely valuable. I have a Kohl’s credit card, and I receive incredible discounts on a regular basis. During sales, paying with my Kohl’s credit card always gives a better discount than if I paid with any other credit card. Sometimes the discount is as much as 30% off! The shopping cart trick is pretty straightforward, but there are a couple of things to do to make the process as easy as possible. The first thing to do is make sure you have not opted out of pre-approved credit offers. If you haven’t opted out, you can move on to the next step. For those that have opted out, like I have, you can “opt-in” really quickly by going to OptOutPreScreen.com and providing some personal information. I did this and it took less than a minute. If you hate pop-up ads and have blocked them, you’ll need to disable your pop-up blocker to allow them for this process. 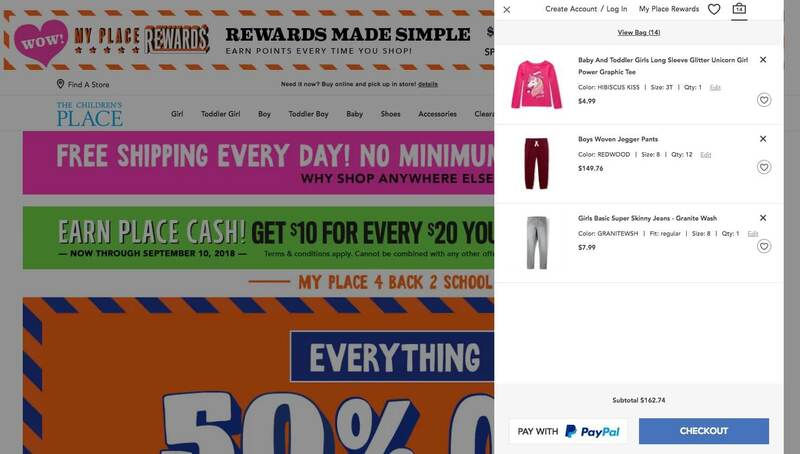 Don’t worry, once you finish applying through the shopping cart trick, you can start blocking pop-ups again. Now that those preliminary steps are taken care of, go to the website of a store that offers a credit card you’d like to have. In my case, I chose The Children’s Place. If you aren’t sure which store to visit, then pick one from our list below. Shop through the website by picking a few low- to medium-priced items and adding them to the shopping cart. The goal is to add at least $100 in items to your order. 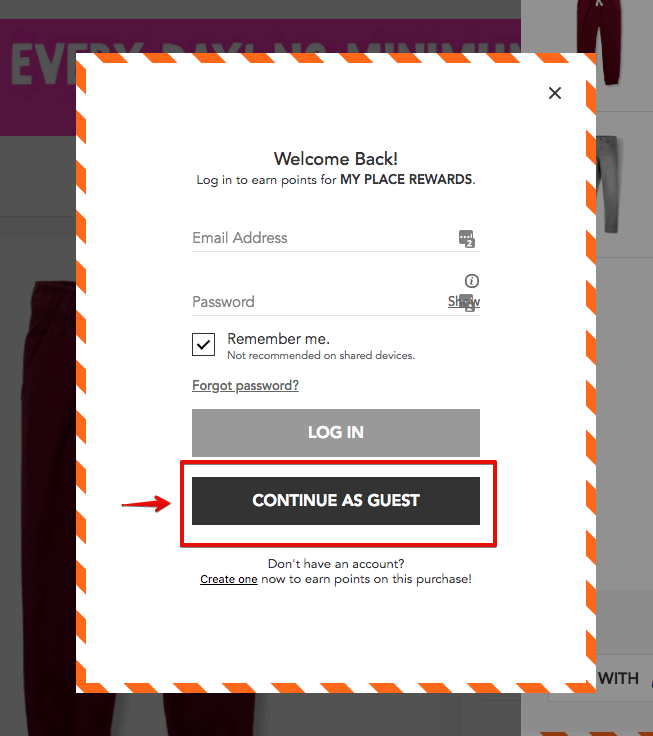 Proceed as if you’re actually going to buy everything in your shopping cart but DON’T CLICK PURCHASE. The goal is to type in your billing information slowly so that it gives the website enough time to pop up their credit card offer. If the offer does not pop-up, exit out of the purchase, add a few more items to your shopping cart and then repeat the checkout process. Keep repeating this process until the credit card offer pops up. After you’ve tried a few times, if you still can’t get a credit card offer to pop up with the shopping cart trick, then clear your browser history and cookies or use an incognito browser. Then try again. Once the credit card offer appears, click on it to apply. You want to accept the offers that do not require your full Social Security number.If they require all nine digits, it will most likely be a hard inquiry. Cancel out of the application. Remember, we only want soft credit inquiries. 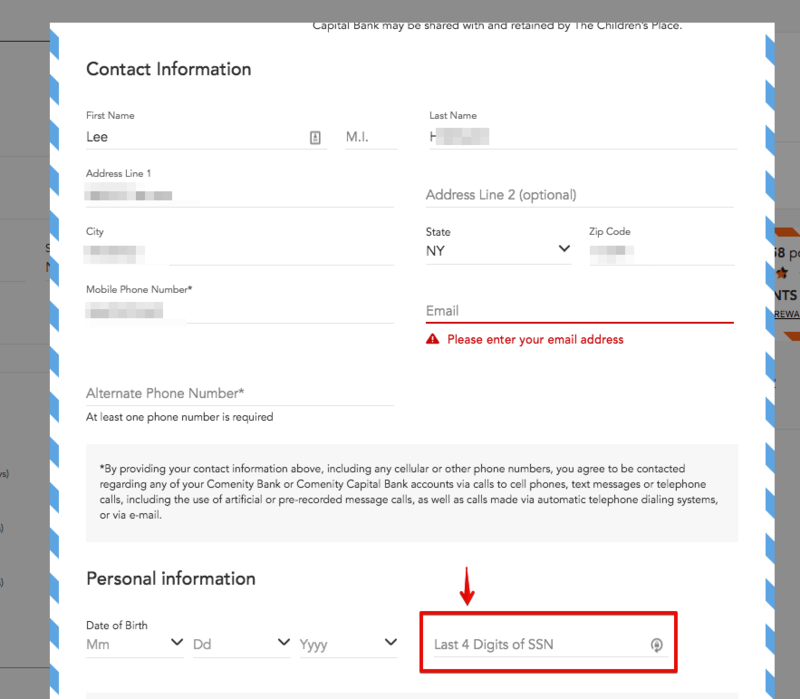 If the credit card application only requires the last four digits of your Social Security number, then it is safe to proceed. Without your full Social Security number, you are not authorizing a full credit inquiry. A soft credit inquiry using only the last four digits is exactly what we want. Once you get approved, you will be taken back to the checkout page. You do not need to continue with the purchase. At this point, it is safe to cancel out of the purchase. Where Can You Use the Shopping Cart Trick? There are three card issuers that offer credit cards that work with the shopping cart trick on a regular basis: Comenity, Synchrony and Wells Fargo. Below is a list of cards from each bank that you should consider. These are the easiest store credit cards to get. If you’ve tried a few of these websites and still haven’t been successful in getting approved, don’t give up. There are still other options you can try. One of the best ways to guarantee approval for a credit card is to get a secured credit card. With a secured credit card, you make a deposit with the bank and they’ll give you a credit that is equal to (and sometimes greater than) the deposit you make. Here’s an article we wrote about the best credit cards for people with a limited credit history. After you make several on-time payments and show that you can handle a credit card responsibly, many of these secured credit card companies will allow you to convert to a card that is unsecured. When that happens, that’s a signal that you will have a better chance of getting approved for a retail credit card with the shopping card trick. Congratulations on getting your new credit card. Your ultimate goal should be to reestablish your credit so you can get the best interest rates on a home or auto loan and to receive the best credit card offers. I recommend against applying for several new accounts all at once. Although you won’t get dinged on your credit for the inquiries, 15% of your score is based on the average age of your accounts. Every new account you add will lower your average credit age. As with any strategy, the goal is to be in a better situation afterward than you were before. Start slowly, pay your bills on time and use only a fraction of your credit limit. Ideally, you’ll pay off the credit card in full each month to avoid paying interest. These steps will help build your score over time. Soon, you’ll be ready for the mortgage, car loan or great rewards credit card that you’ve been dreaming of.